Do you need to learn Italian for business? Now, you can do so very easily with a native and qualified Italian tutor from Parlando Italiano. If you work for an Italian company and have dealings with Italian clients that necessitate you learning the language to perform your job with maximum efficiency, our Italian courses for business are tailor-made for you! You can choose between face-to-face Italian lessons or Italian lessons online. In the former case, a native Italian tutor will visit your workplace at a time of your choice; whilst with the latter option, you will receive Italian lessons via Skype, and by virtue of web cam, interact with your teacher just as if they were at your own office. All our tutors are native Italian speakers with a broad range of experience teaching Italian as a foreign language. Lessons are completely flexible. You can receive them whenever and as often as you want. We guarantee you our undivided attention from beginning to end of your lessons. Our Prices are both competitive and affordable and you can have a trial Italian lesson online for free. Contact us to consult our rates and to acquire any additional information that you may need regarding our Italian courses for business. We are experts in the field of Italian tuition and endeavor to conduct all classes in a serious and professional manner. We tailor your Italian course depending on your specific needs and current Italian level. Courses will be focused on those aspects that you need to improve on as well as rudimentary skills in typical areas of business, (aspects which are nonetheless crucial to the appropriate development of your job skill set) : writing emails, talking on the phone, giving an Italian presentation, etc. You can choose between an intensive Italian course which entails receiving several classes per week, or, if you prefer, an extensive one that is available all year long. As you can see, the course is 100% adaptable to your specific needs! Furthermore, if your colleagues have a similar level and want to learn Italian as well, we can provide you with the opportunity of receiving group classes with a special discount. 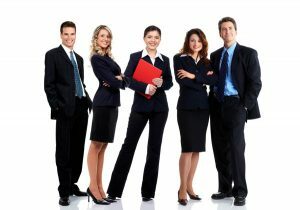 Though it may be true that nowadays English is the most widely used language for international business, there’s no escaping the fact that if you work for an Italian company or have Italian clients, learning their language will doubtlessly help you perform your job better as well as appear more professional. So why are you hesitating? Take the first step to becoming a better professional for your customers and learn Italian for business with us!